When I’m staging or styling a house, I don’t tend to worry too much about the colours or the decor in any kids’ bedrooms. 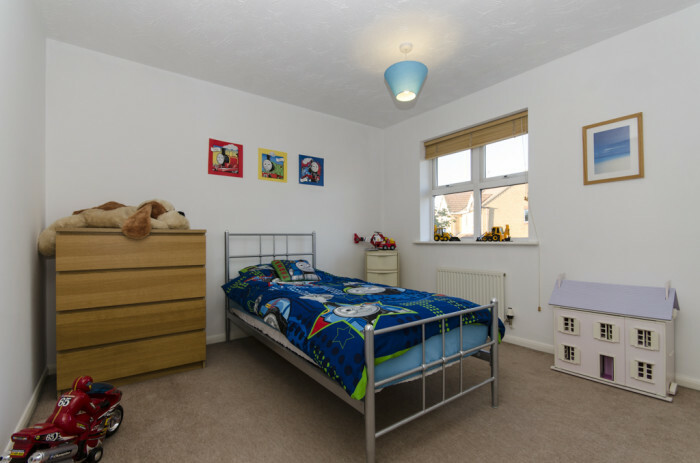 I believe in not trying to make rooms something they’re not, so if a child currently occupies a bedroom then I’ll usually keep it that way in the styling and photography – no point trying to make families change the way they live beyond the realms of the possible, plus buyers have children too! Having said that, there are still loads of things that can be done to maximise the sense of space and the appeal of children’s rooms; the same things that we’re trying to do in all the rooms of the house. Take the bedroom in the shot above for example. 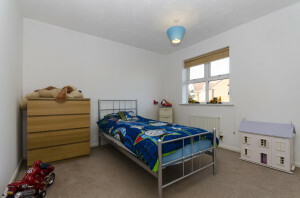 This is a typical estate agency photograph, taken from the doorway and with no preparation. There are toys everywhere, you can’t really tell how large the room is, and it’s all just a bit too much. Now look at the image to the left, taken from the same angle. I moved the bed so that the room feels more balanced, put the chest of drawers next to the bed to show there’s lots of space there still, and tidied away most of the toys. 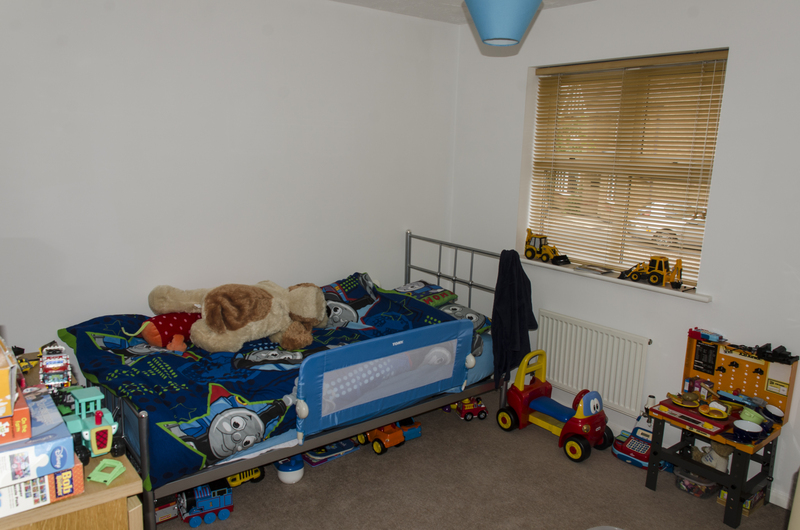 The main thing was to get rid of all toys from underneath the bed, so that you can see the floor – people guage how big a room is from how much floor they can see, so keeping under-bed spaces clear helps the room keep its feeling of space and stops furniture from overwhelming the space. But there was something missing. Can you see the two areas of ‘dead space’ on the two walls? Being a totally white room, all the colour is concentrated near the floor and the top half of the photo just looks bland. It was easily fixed though: the simple addition of some themed wall stickers and a complementary framed picture brought some colour further up the walls, filled up the dead space and finished the image off nicely. What do you think? Did I make an improvement on the way this room looks in the photos?